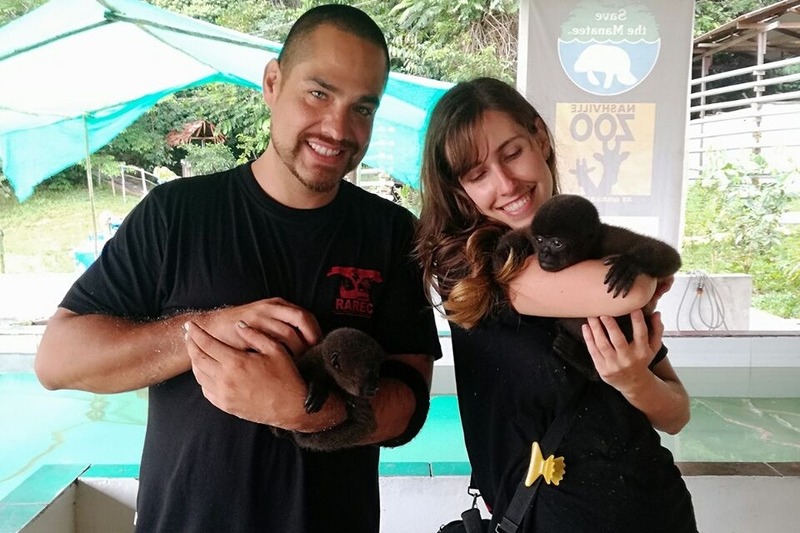 Fundraiser by Alex Ashman : Help Us Rescue Endangered Animals In The Amazon! Help Us Rescue Endangered Animals In The Amazon! Hey! I'm Alex. Thank you for looking at my page! I'm an Environmental Science Honours student, and doing this degree has seriously opened my eyes to the devastation going on in and around the Amazon Rainforest. Over 1 million hectares of rainforest have been lost to deforestation over the years and the wildlife is in rapid decline. Animals lose their homes and their lives, and in turn the food chain becomes affected. Just to put things into perspective, the Amazon is the world’s largest rainforest and the largest river basin on the planet. More species are found here than anywhere else. The region is believed to be home to 10% – 1 in 10 – known species on Earth. Of plant species found in this region, 75% are unique to the Amazon. So, where's your money going? The general problem that exists in this area of ​​the Amazon is the uncontrolled use of natural resources by unscrupulous people, which causes many losses of wildlife. All animals that come to our center were rescued from illegal traffic or hunting, as a result of this, they are orphans and very young, in some cases babies who require feeding by bottle and a lot of care and interaction to gain confidence and can adapt to a new group of the same species, this is the challenge that a volunteer is faced, cover not only food but emotional needs of animals arriving after suffering abuse and malnutrition. Support in animal’s rescue process traveling with the staff, ecological police and authorities to the places where wild animals are confiscated for illegal traffic or because they have them as pets. Support in animal’s rehabilitation, cleaning of each area, preparation of food and delivery of food, control of the growth and behavior of the animal to detect incidents. Support in animal’s treatment, assistance to the vet in the administration of medicines and monitoring of animal health in quarantine or in topical. Implementation of enrichment programs for animals, monitor the behavior of a group of assigned animals, introducing external elements to observe their behavior, to implement improvements in their environment and quality of life. ·Work in the butterfly enclosure, development of the observation and feeding of caterpillars, monitoring the plan to determine the biological cycle of certain species, and achieve their reproduction in a controlled environment. Unlike many charities, I can tell you exactly where your money will go, and I'm going to be totally open and honest about it. The rest of the money will go to the charity I am working for, RAREC, fund the flights, travel and medical insurance, vaccines, accommodation, food and equipment I'll need during my stay. For duration of my stay, I and an enthusiatic team will be reforesting; helping wild animals at the rehabilitation centre and in the wild and nursing them back to health, and educating local communities on the environment and the affects of deforestation. Not a single penny of this is going to myself, but entirely to allow me to travel to this unique destination and help a small team get on with an Amazon project with a big impact.